Desperate times call for desperate measures. And my weight loss (or lack thereof) was getting to me. It was draining me physically and more so, mentally. I had hit a plateau (basically back when I started) and it was overly frustrating. You can read about my decision to join a gym HERE and my round with a trainer HERE. The trainer didn't last more than a few weeks. I wanted to like it, but I wasn't seeing any results. Yes, I realize it takes time, but he wasn't listening to what I really wanted. I wanted to lose weight and focus on my abs, and I felt like we were never doing the necessary cardio to lose weight, and we weren't focusing on my abs at all. Ever. So it was time to switch gears. I needed to focus on my diet and maybe my little bit of exercise (gym 2-3 times a week) would catch up and jump start me like I needed it to. I reached out to an old friend from college who was a rep for this company called Herbalife. I knew she had lost weight on the program (along with several other people) and I was willing to give it a try. It wasn't cheap, but neither was wasting $40 a month on a gym membership to lose literally ZERO pounds in 8 months. I just needed a kick-start... just lose 5 pounds and then I could maintain. It was a long process of figuring out everything I needed via emails to her, which flavors to choose, and her sending me updates on my BMI and what was healthy and realistic for me and my goals. I appreciated having a friend I could work through all of that with. 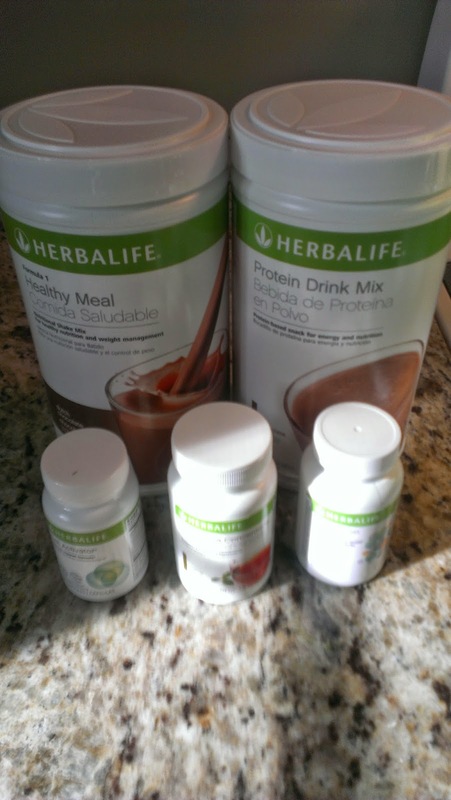 So I dropped over $200 on a month's supply (for 2 shakes a day) and I bit the bullet. 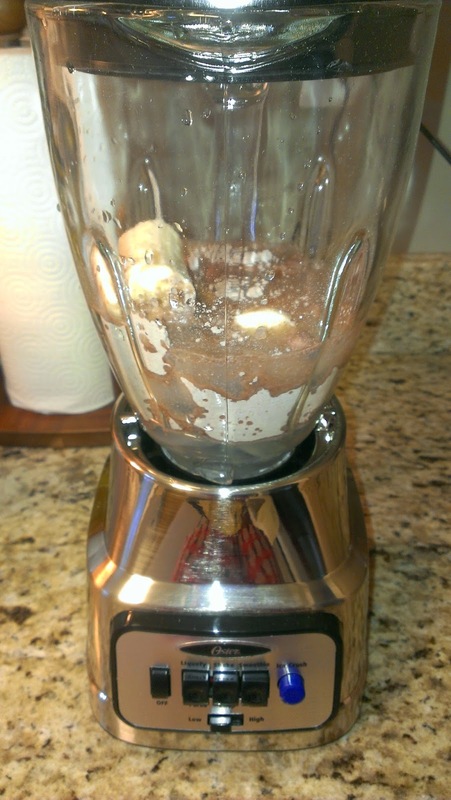 That is the first photo I took of the first shake I was ever making. I wanted to go super basic the first time - no fruit or ice or blenders. Nothing fancy. 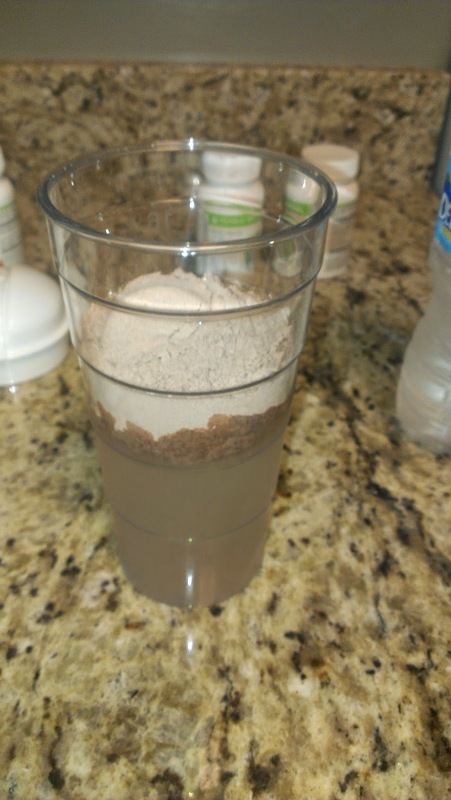 I wanted to make sure I could drink them this way (just the shake powder, protein powder, and water) because I knew if I was drinking them at work for lunch, that was the route I would need to go. How was it? Actually, not too bad. I went with the chocolate shake and the chocolate protein. I figured that was the best for me and my taste - and the simplest to figure out what to add to it. I can add strawberries, bananas, peanut butter, etc. I'm used to eating something small for breakfast (or having a Slim Fast shake) and then being starving in about 90 minutes. I drank my first shake (about 12 ounces) at 7:30am and was full all morning. It suggests to eat some fruit along with it (or mix in) but I just stared at the banana on my desk all morning, not interested at all. The second day of shakes, I was at home, so I was able to bust out our blender to try some more adventurous concoctions. Mixing in a banana was by far my fave. The strawberries were better than nothing, but not fabulous. Peanut butter was delicious, although I needed to work on my consistency with that one. Puff was a little unsure about it all, but after he knocked me down once, he learned his lesson, and got on board with helping me get excited about my new little journey. And in a little tidbit of TMI, my pee was neon yellow the first few days. I like to think this was all those nasty toxins getting flushed out of my system! After 9 days: 1X6 - This was definitely heartbreaking to me. I had felt like I did so well and then to not lose any more weight the entire week was crushing. After 23 days: 1X5 - Which was right back to my original weight. Ugh! In the meantime, I'm just going to enjoy my baby girl (who is growing up too fast) and enjoy Lemon Oreos while they still exist.